I studied a Physics course in San Francisco in January, 2005. 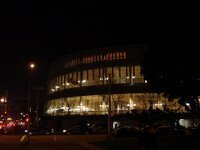 I listened to the concert performed by San Francisco Symphony in the evening. 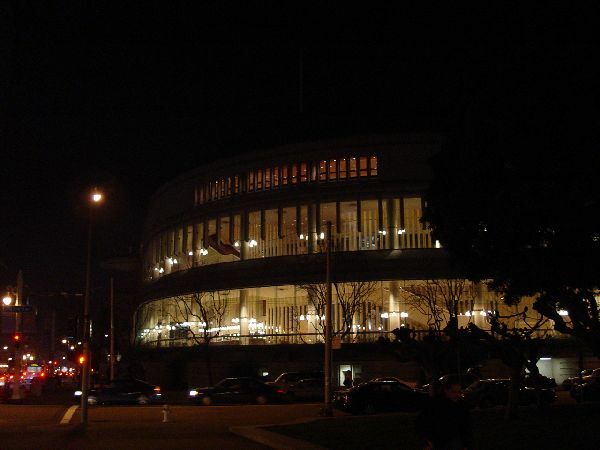 The picture is the appearance of Davies Symphony Hall which is close to the San Francisco City Hall. San Francisco is a busy city with crowded people and buildings. Fortunately, it was not too cold in San Francisco in January. My heavy jacket was useless. The location of Davies Symphony Hall is far from my settling hotel in the downtown. It took me more than half hour to walk through streets. That was an unusual experience.